Kerala is one of the top tourist destinations in India, and it is easy to see why. Best known for its breath-taking beaches, spectacular hill-stations, the back-waters and its wildlife, it is a state where getting bored is just not an option. There are literally hundreds of things to do in Kerala and places to see. Relaxing on the sand or basking the sun in a hill-station is truly the best “free” activity in Kerala. Proximity to the great outdoors, no matter where you go is a great thing about Kerala. 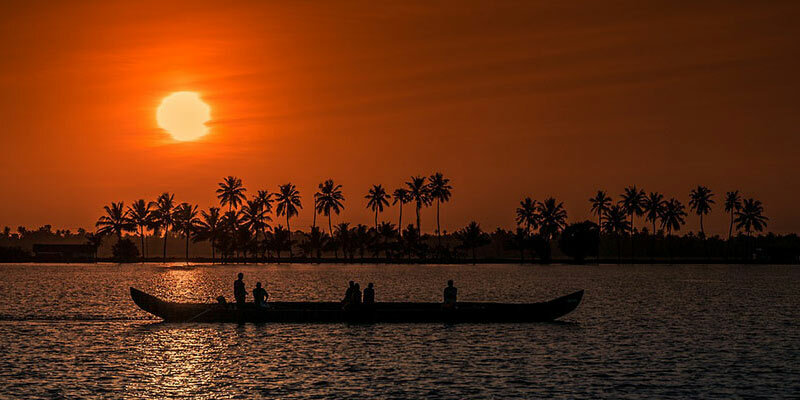 In the culturally enriched state of Kerala, backwater cruise is one of the best experiences not to be missed. Your visit to Kerala is incomplete without experiencing this. The cruise is very comfortable and gives you a lot of time to ponder over your thoughts. It is ideal for a family holiday or a honeymoon because it gives you a lot of time to relax and enjoy. Most of the cruises are quite lavish with large rooms and excellent ambiance and facilities. You can also opt for just a boat ride in the back-waters. On your way enjoy some freshly fried fish to keep your tongue busy. Riverbanks with coconut trees like sentinels protecting the villagers and local fishermen placing nets from their small wooden boats right alongside your houseboat are some views you could never forget. To continue with your love affair with God’s own country, houseboat stay is a must. This experience gives you plenty of time sit and reflects on life as you stare at the calm, placid waters. The houseboat stay is usually not for more than two nights. Sailing in the backwaters is a scenic and beautiful experience. There is some sort of an unwritten understanding between the houseboat owners and fishermen because every evening the boat anchor. Soon enough, the fishermen come and start putting their nets. When the boats are anchored you can take a walk through the nearby villages, which is another beautiful experience in itself. Alleppy and Kumarakom are the two best places for this. Thanks to Airbnb and many Indian travel startups and also Kerala Government, finding a homestay in Kerala as per your requirements is quite easy now. It’s a perfect way for tourists and visitors to get the cultural experience of a typical Kerala Home. Tourists get to stay in a home in Kerala and experience the lifestyle. A homestay accommodation will show you to the many unseen and unknown practices and views of Kerala. It makes you see the state through a completely new lens. For a change, you see beyond the thousands of coconut trees and rice farms. It takes you to the deeply rooted social fabric of the state. This is one of the most unique and exclusive tourist experiences in the state. Tree houses are wooden houses built on top of trees surrounded by breathtaking views and scenes. The most exclusive tree houses offer connected bathrooms, elite bedding, and even balconies. A stay in a tree house will be a memory that stays with you forever. It feels like a gift to your soul. It is a very relaxing experience if you plan on going on a holiday or a honeymoon. Munnar and Thekkady are the best places to find a tree-house accommodation in Kerala. Kerala offers any enchanting hill stations to its visitors. The hill stations are covered with tea and coffee plantations or spice gardens. Some of the most breathtaking hill stations are Ponmudi, Wayanad, Munnar, and Thekkady. The hill stations of Kerala are perfect for a family outing or for a romantic escapade. They provide ample activities to make it an unforgettable trip. So it is definitely worth it to take a break from the infamous beaches and backwaters and enjoy the panoramic vies for a change. Along with the beaches and panoramic views, Kerala is also infamous for its abundant spice and tea plantations. 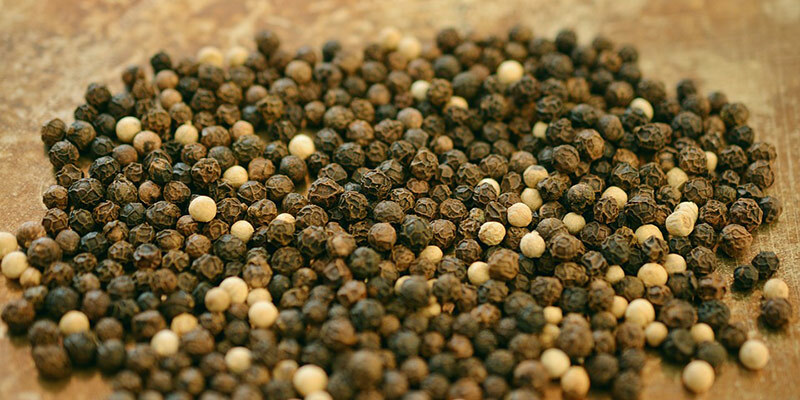 Some of the country’s finest tea plantations and spices come from Kerala. Hill stations like Peerumed, Vagamon, Munnar will give you an excellent opportunity to discover these tea plantations. Along with the plantations, there are also factories in this area where the spices and tea is further processed. Munnar is one of the major Centre of Kerala’s Tea industry. Kerala is a coastal area that is known for its beaches. Beaches are the most infamous aspect of Kerala. The crystal clear warm waters of Kerala sell themselves. They are the perfect location for a romantic getaway. Some of the most popular beaches are Kovalam beach and Alappuzha beach. If you want to visit some of the lesser known beaches, which are quiet and desolate, then Payola beach, Bekal beach, Varkala beach etc. will be perfect destinations for you. Along with the beaches, backwaters and tea estates, Kerala is also the land where Ayurveda was invented and is practiced the most. Almost all the hotels and stay options have a spa and Ayurveda centers. Apart from these, there are many Ayurveda resorts that provide healing therapies. These beautiful sprawling resorts refresh your mind and soul. Carnoustie, Kalari and Nattika Beach are some of the Ayurveda resorts. Kathakali is an art form that originated in Kerala. It is a stylized dance-drama that is known for its elaborate costume’s, makeup and gestures. It is a very common way of storytelling in Kerala. Detailed gestures and well-defined body movements describe the story in tune with the playback anchor. Kathakali performances are a common occurrence in the temples of Kerala. Or else you can also go to some of the Kathakali centers in Kochi. Nevertheless, a visit to Kerala is incomplete without watching a Kathakali performance. Boat races are a very important part of the social fabric of the culture in Kerala. It is extremely enticing to watch the boat race. Thousands of people gather at the banks of the rivers to watch these races. The races are usually held during Onam. It is part of the celebration. The Aranmula Boat Race, which is also held during Onam, is the oldest boat fiesta in Kerala. It is an exciting experience to watch one of these boat races. Kerala is gifted with nature at its best. The gushing rivers, steep mountains, and dense forests make it an exciting place for adventure seekers. There are different activities like trekking, cycling, wildlife tours, bird watching etc. Backwater biking is an infamous adventure activity. 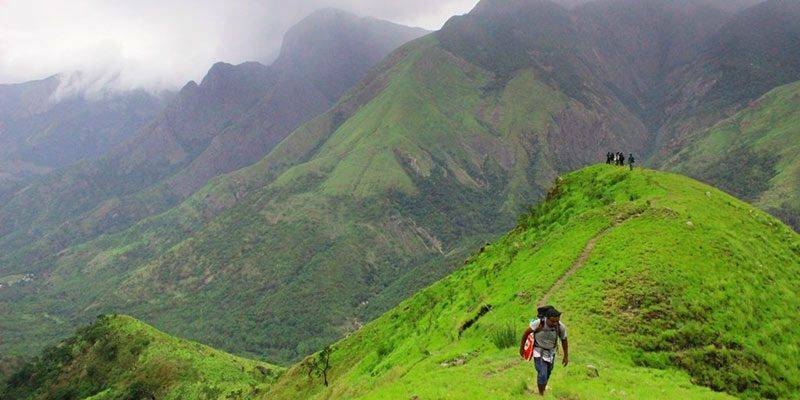 Hill stations like Munnar and Wayanad are perfect for trekking which will test your fitness but at the same time, you will be able to see some breathtaking views and take in some fresh air which your lungs were longing for a long time. The waterfalls in Kerala are breathtaking. Surrounded by thick greenery they offer a panoramic and scenic view that will make you leave all your stress behind. Although most waterfalls are easily accessible, some of them require a bit of trekking. One has to have a good physical endurance to be able to go through the trek. A lot of the waterfalls like Aruvi waterfalls have local tribal settlements around them. Some of the waterfalls are Orakampara, Aruvi, lakkam, Kuthumkal etc. Athirappilly Falls shown in the image above is one of the most enticing of them all. The fact that Kerala has a diverse terrain makes it perfect for all kinds of wildlife. The most common animal found in Kerala is the elephant. From temples to roads elephants can be spotted everywhere. The other animals found here are langurs, stork, sambar etc. There are quite a few rare species of animals like Malabar flying squirrel, King cobras etc. as well. Tourists are allowed to trek in the forests and reserves but only with special permission. There are many wildlife sanctuaries like Idukki and Chinnar where you will get an excellent opportunity to explore the wildlife. Nilgiri Tahr’s the mountain goats indigenous to the region are now only confined to Rajamali or Eravikulam National Park near Munnar. Periyar Wildlife life Reserve and silent valley are some other interesting places to poke your curiosity. Kerala will spoil you with its souvenirs and choice of things to buy. Shopping can be done all across Kerala. From bazzars in Cochin to spice gardens and tea plantations in Munnar the shopping opportunities keep coming. The best things to buy in Kerala are Tea, coffee, spices, banana chips, coir products, elephant decoration articles and wooden idols. Apart from all of this, the handicrafts in Kerala are also well known. Kalaripayattu is considered the oldest form of martial arts. Every other martial art which exists now has evolved from Kalaripayyattu. Never mind indulging in it even watching it will get your blood pumping and pulls out occasional ooohs and aaaaahs. This bone bending muscle grinding defense discipline which is now followed by many people around the world. It’s yoga with an extreme skill set. If you are in Kerala at the right time then watching Thrissur pooram should be on top of your itinerary. This celebration of sound and a spellbinding crowd of almost half a million will give you an immense amount of energy to come back next year without a second thought. Infamous Chenda melam, Kudamattom on top of two dozen giant tuskers followed by hours of incredible fireworks, all of this will overwhelm with you the question why haven’t I seen this before? There is no other place in Kerala if you want to try some local cuisine other than the toddy shops. They are the perfect places for you to put your taste buds on fire. To put out that fire all you have to do is to drink Toddy, a natural drink gathered from the buds of a coconut tree. After that, good luck counting all those stars around your head smiling at you!! !